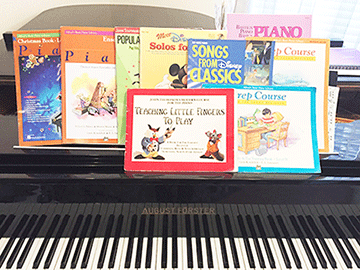 MELODY Music School has been offering the community professional tutoring specialising in Piano, Keyboard, Guitar, Flute, Clarinet, Saxophone, Singing, Music Theory. Congratulations for considering music lessons. Music is to the Mind, as sport is to the Body! Give your child the gift of Music! Just bring your kids to the lesson and we will introduce them that interesting, fantastic and a musical world. Music can contribute to the development of confidence, social skills, teamwork, self-discipline and much, much more. Learning music isn't just for the 'young'. We welcome individuals of all ages. It's never late to start learning. Because all our lessons are tailored for the individual, not only will the learner find improvement musically, but also see a growth in confidence and a shine in personality. We encourage our students to participate in a middle-of-year and Christmas Concerts! Our students have the opportunity to experience some special music events such as the Arts Festival, Christmas Concerts, Vocal, and Piano competitions. Providing excellent results, private tuition, as well as exams, our school also adopts a holistic approach to teaching music – enhancing self-awareness, self-development and personal growth. MELODY Music School is a Music School dedicated to the excellence of teaching. We strive for the best possible outcomes and learning experience for your child.